A new manuscript detailing what we learned from the first three rounds of #SciFund is up at PeerJ! Much of the analysis you will have seen at the SciFund blog, and the manuscript is in review right now. I’ve never had a manuscript up as a pre-print before. I will be very curious to see what sorts of feedback. And yes, someone already found an error. Sigh. In case you didn’t know, there is an entire Tumblr of deep sea creatures with googly eyes. This photo of Mysis relicta seems to have come that way naturally. Photo by Per Harald Olsen/NTNU on Flickr; used under a Creative Commons license. Can we get a bullet train? 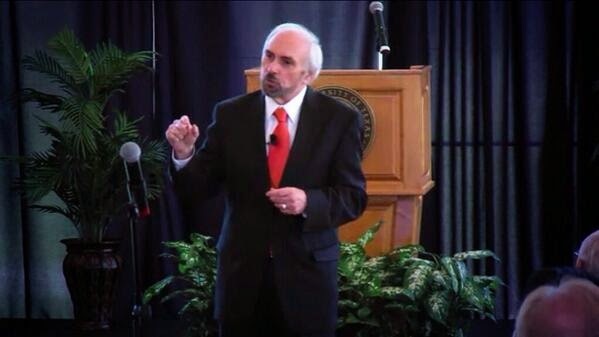 The UTPA and UTB community had its first chance to meet the presumptive first president of UTRGV, Guy Bailey, today. He was at Brownsville in the morning and Edinburg in the afternoon, and had three meetings, with faculty, staff, and students at each. When he said that, I asked, “Can we get a bullet train?” I hadn’t thought of it before that moment, but I’m glad I did. If you’re talking about effective transportation to unify campus facilities and maximize productivity, a lot of person vehicles or buses won’t cut it. When I go out to the Coastal Studies Lab, it’s about a three hour round trip. That pretty much chews up a whole day. There are several trains in service that do 200 miles an hour and more. Google Maps tells me that the distance from UTPA to UTB is about 65 miles. That would be a mere 20 for a 200 mile an hour bullet train. That’s a reasonable commute between campuses. Heck, you could even add in 10-15 minutes for stopping along the way. Pascale Lane went to Randy Olson’s narrative workshop and reports back on what she heard. 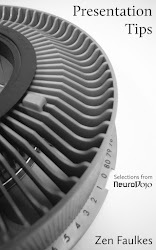 I currently still have my head down, writing, writing, and doing more writing, but I took a little time to talk to Jane Lee, who was reporting on a new paper by Robyn Crook and colleagues in Current Biology about invertebrate nociception. This study is one of the few experiments that have looked at pain in a context closer to real-world conditions, says Zen Faulkes, an animal behavior researcher at the University of Texas-Pan American in Edinburg, Texas, who was not involved in the project. Specifically, the study looked at pain in the context of a predator-prey interaction rather than as an isolated sensation in an individual. The left two columns are uninjured squid. 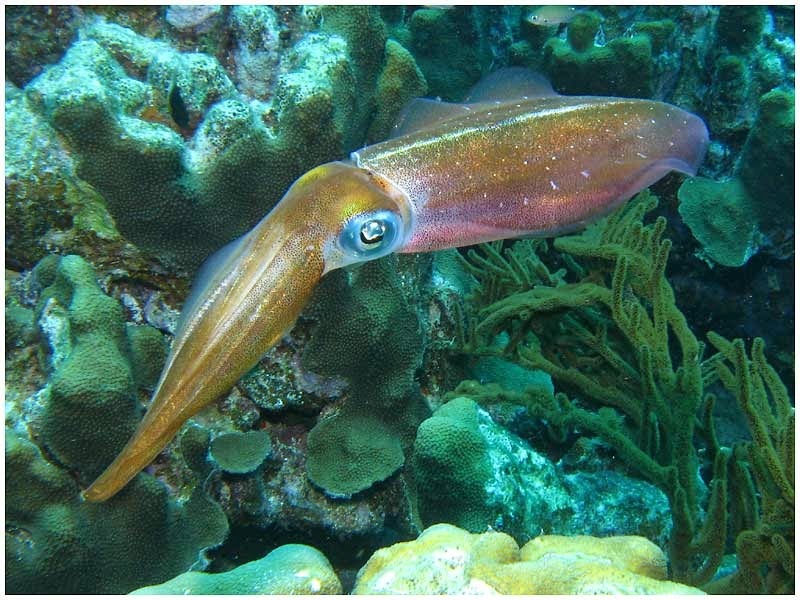 A squid with no injuries has about a 75% chance of escaping fish predators. The right two are injured squid. An injured squid 50% chance of escaping hungry fish. 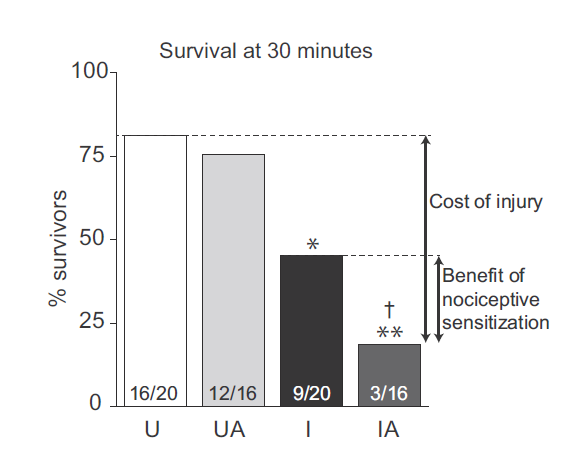 But if the squid has injury, and is given a painkiller (IA in rightmost column = injured with analgesic, or a painkiller), the squid only have about a 25% chance of escaping a predator. In other words, the nociception system is helping the squid do better in the wild than if it didn’t have that sensory information. 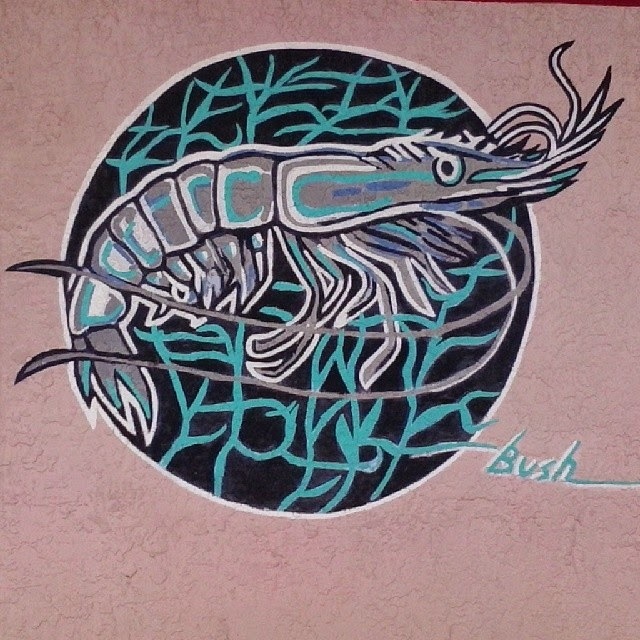 Painting on the wall of a bait shop on South Padre Island. I was there yesterday, buying – surprise, surprise! – shrimp to carry on the work I started with Nadia Carreon and Brian Fredensborg. 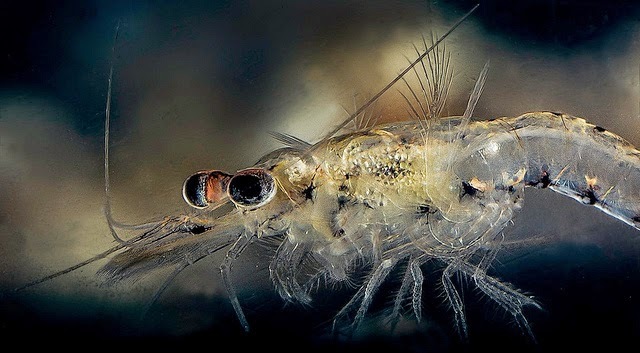 You can read a pre-print of the latest shrimp paper, co-authored by Nadia, online at Integrative and Comparative Biology now! It’s open access and everything! Joan Strassman looks at author credits. This bycatch inforgraphic looks nice, but on its own, lacks credibility. Citations, please! More on peer review at the PubChase blog. When you’re talking about long-standing problems, suggesting that one year old websites are the solution may be a bit... optimistic. Paige brown ask, “How do you decide what to write about when you’re a science blogger?” This leave me wondering what a “news peg” is, but never mind my own ignorance! Craig McClean compiles playful acknowledgements. I add a couple more.